I-nomad: Just another generalization: Do Thai people have a high external locus of control? 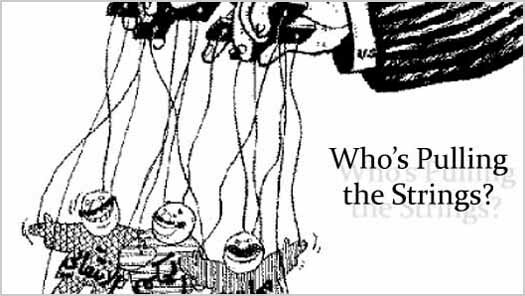 "Are you the puppeteer or are you the puppet?" "Locus of control in social psychology refers to the extent to which individuals believe that they can control events that affect them. Understanding of the concept was developed by Julian B. Rotter in 1954, and has since become an important aspect of personality studies. Individuals with a high internal locus of control believe that events result primarily from their own behavior and actions. Those with a high external locus of control believe that powerful others, fate, or chance primarily determine events." In Thailand where Buddhism is more prevalent than in any other nation and in fact has become a religion rather than a philosophy, lots of people seem to be reluctant to set factual goals in life. Adding superstition and hopes for winning the lottery to the equation, it seems obvious that a significant number of Thai people are being brought up to have a high external locus of control. Personally, being brought up without a specific religion, I am inclined to follow the internal locus control way and scored 78% internal, 22% external in a test. However, I find Rotter's theory a somewhat Western atheistic approach on how to look at things. What I mean is that when we seperate schools of thought, we get a division of people who leave things up to chance and higher powers, thereby generally considered being less successful of achieving progress, against the more dominant and prospering self-made people, who like to believe that in practically any situation one can take destiny into own hands. "Internal" people seem to try and find out how to control external factors, without asking why they are so anxious to control things in the first place. How much does this bring you happiness? In my opinion it could very well be that one is satisfied feeling to be the puppeteer of some, but without being aware that at the same time they are the puppet of others. And this pyramid the structure of powers might be a very complex one. It looks like a game where everyone is so busy not losing control of things or is trying to play god all the time, that we tend to forget what it is to just enjoy life in it's simplicity. Quote of the day: "Take everything in moderation. Including moderation."